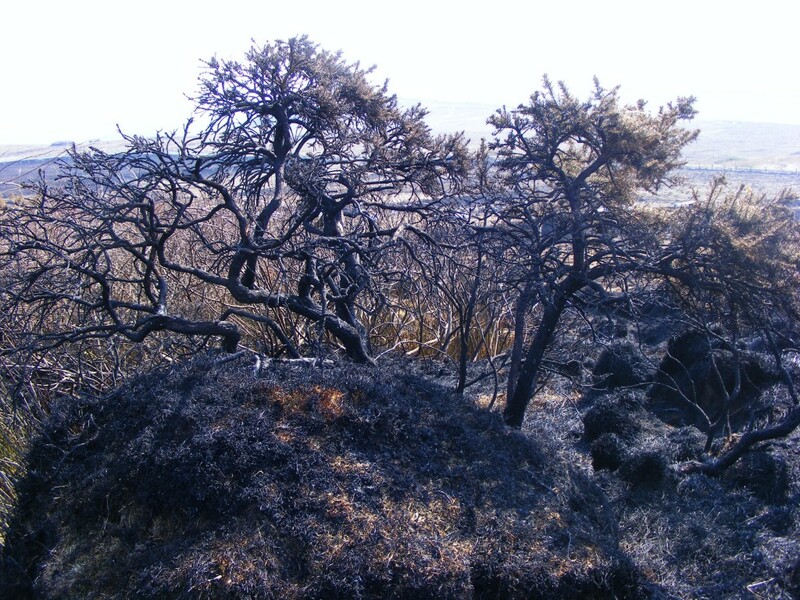 I took these photographs recently which show the aftermath of the gorse fires here in Connemara. 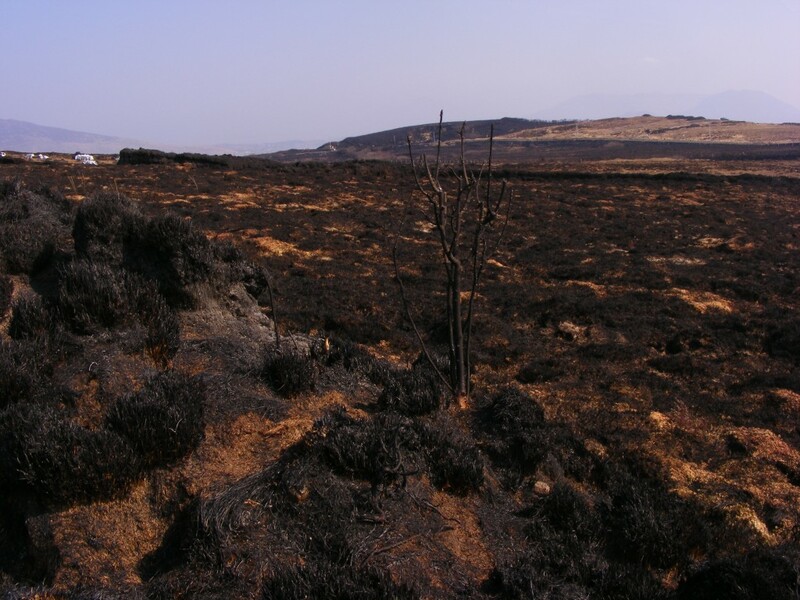 They show the extent of the damage – massive areas of land have been blackened by the fires right up to the roadside. I sometimes wonder about the benefits v disadvantages of my near total ignorance of the technical business of photography. These pictures were taken on my trusted Fugifilm camera which I’ve had for about five years. I realised that it was on a ‘sunset’ setting after I had taken most of my photos. I subsequently changed to the ‘auto’ button which is supposed to find the optimum setting for the prevailing conditions. However, the last pictures I took ( of which this is not the worst example below ) were a horrible blue colour and poorly reflected the actual light conditions at the time. The former photos have a lovely sepia tinge to them which accentuated the actual light, giving them an old, other worldly feel. I suppose that I quite enjoy the accidental nature of these small discoveries while I have to admit that more knowledge on the technical front would not be a bad thing. The prospect of acquiring this information has just never seemed very appealing to me and I am indebted to my camera which (for the most part ) does the job for me..
Here’s some more photos – I like the desert like feel to this one below. This last one might just have been good old Kansas before Dorothy was wooshed up into the sky.. 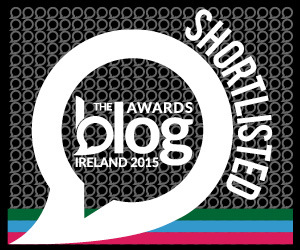 It is in fact the last stretch of open bog on the road to Moyard/Letterfrack. 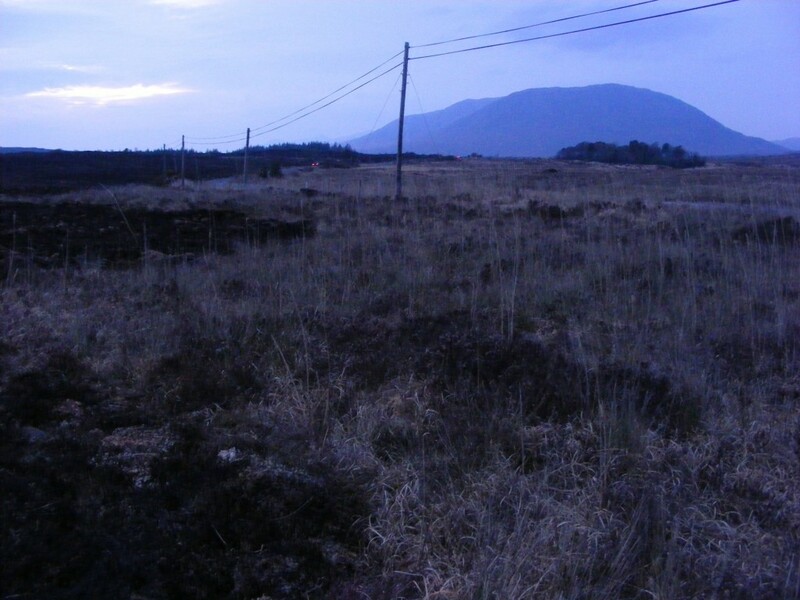 Fires have been burning here in Connemara for the past week. 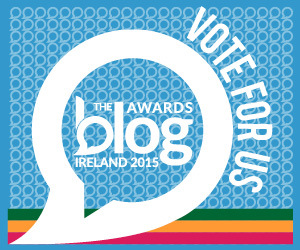 I stopped en route to Dublin to take these pictures at the weekend. 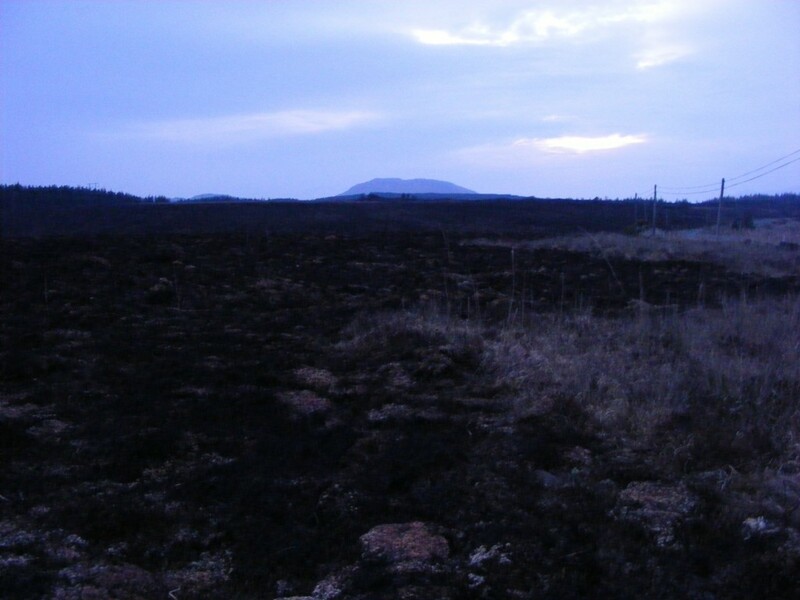 This particular stretch of bog became a creeping line of fire that landowners struggled to contain. It’s an annual sight here and the only way to control the voracious growth of the gorse plant. The ash from the fires also gives much needed nutrients back to the earth which promotes new growth, a kind of seasonal cleansing and renewal. The problem arises when fires get out of control and with the fact that it is illegal to burn growing vegetation in this area between March 1st and August 31st. 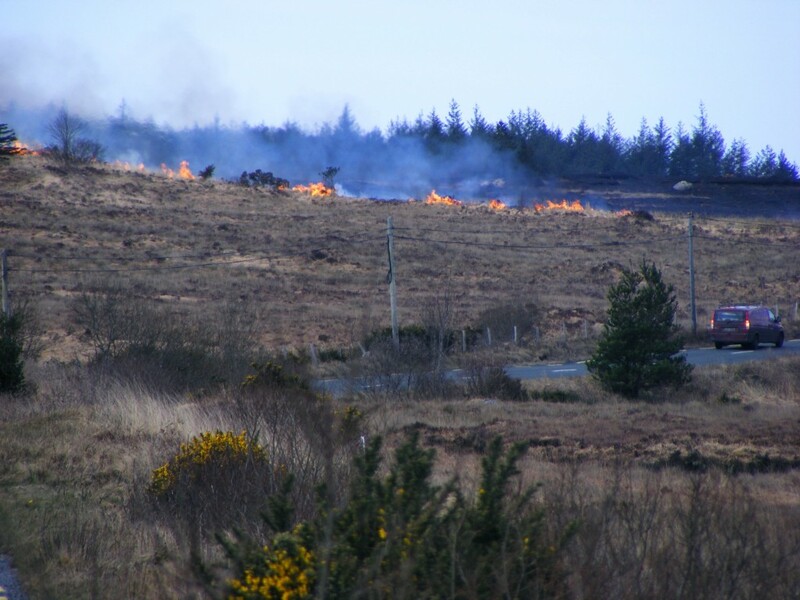 Unfortunately this period is often the only suitable time for burning to take place due to the length and inclement nature of Winter in Connemara. We have had an unseasonal amount of rain since October last followed by an unusually long spell of dry windy weather. 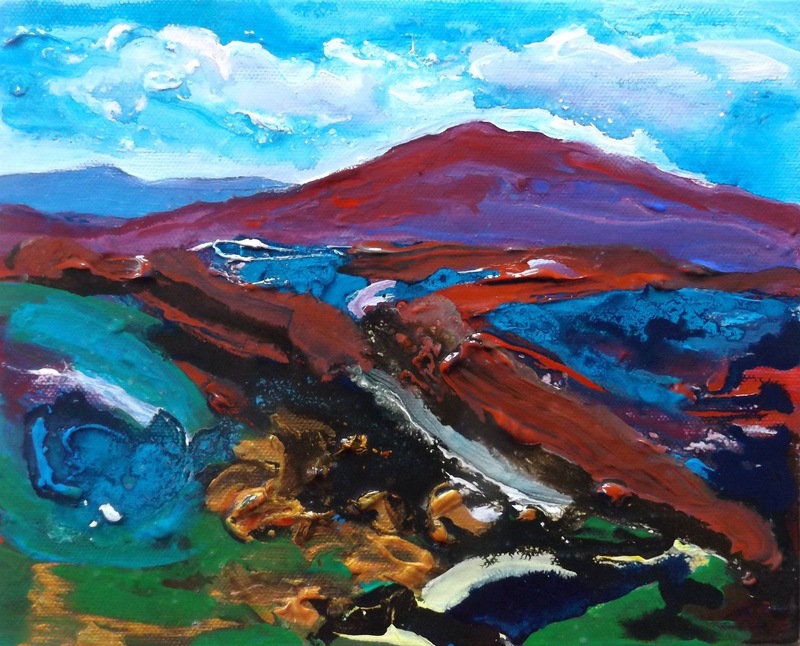 This has led to the rash of out of control fires in Connemara this month. 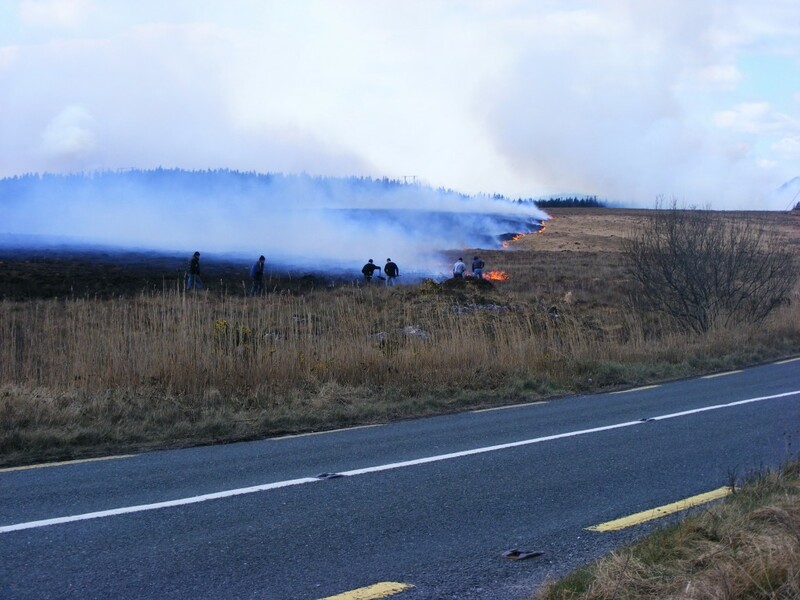 The garda helicopter was called in to assist fire services in tackling a number of blazes near Spiddal and Moycullen. The wind direction hampered their efforts and has caused the rapid spread of fires which may otherwise have remained under control. A stretch of road was closed in this area at the week end while I was away. I could see why when I returned last night and stopped to photograph the ashen land which now reached the edges of the road. My camera struggled to capture the colours as the light was fading but these photos give an impression of the charred landscape below. Theres something eerily beautiful about this blackened place and I will return soon to take more pictures during the day. Thanks to the efforts of the Clifden fire service, there was no loss of life or serious damage to property and hopefully this position will continue. 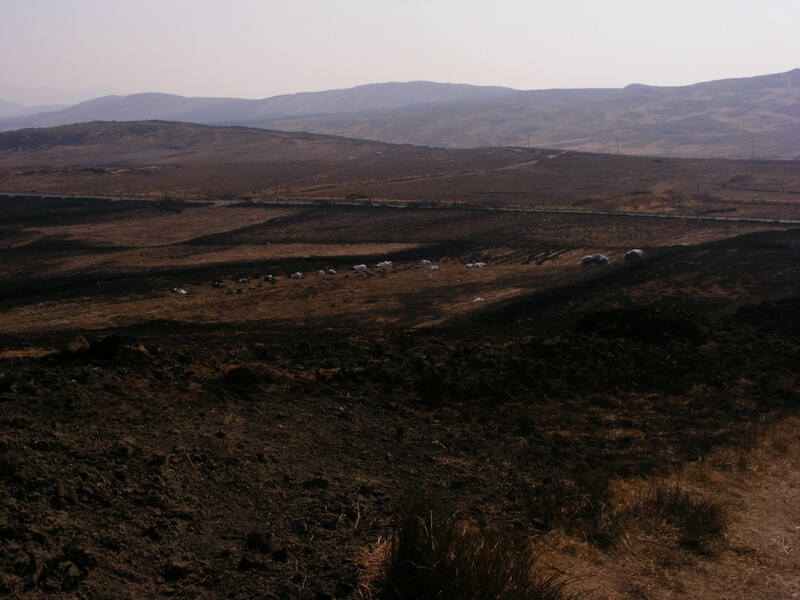 I understand that it is widely believed that some of these recent fires have been ignited unlawfully and not by landowners and that the gardai are involved. It is remiss of me to have suggested that any landowners were involved in this latest series of gorse fires. I met with friends this evening who spoke of the extent of the fires in the Moyard and Cleggan area and how the blaze came dangerously close to several homes, causing significant damage to some property and to underground pipes. 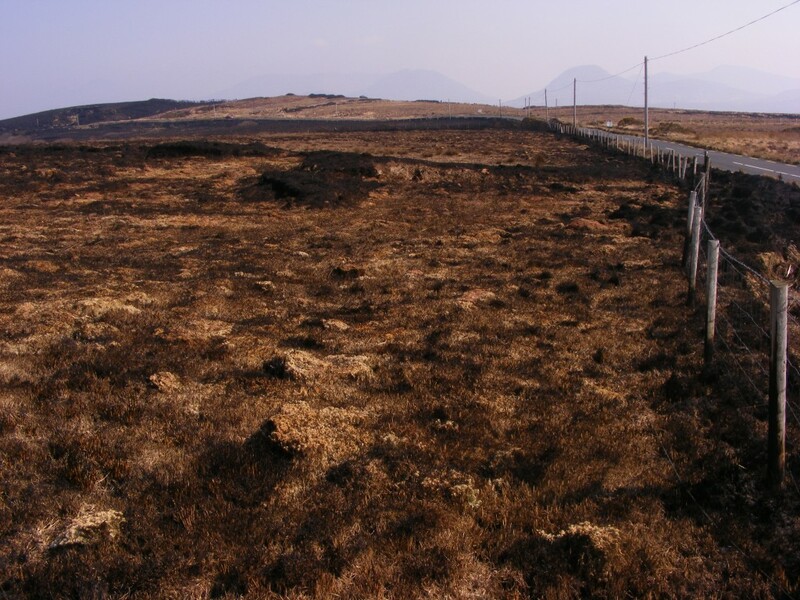 It is also quite feasible that some of the fires may have been caused by accident or heedlessness due to the particularly dry nature of the bog grasses at the moment.